Ever dream about a white Christmas in a picturesque winter wonderland filled with fun, food and laughter? Well, quit dreaming, because the Hokkaido Railway Company’s gonna make one of you lucky readers’ dream a reality. 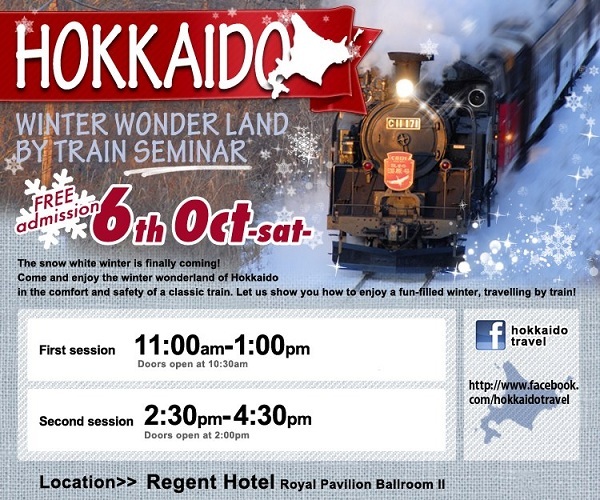 The company will be hosting a travel seminar named “Hokkaido Winter Wonderland by Train” on 6 October, and the seminar will feature speakers sharing the joys and pleasures of visiting Japan’s second most popular tourist destination. Participants can expect a quiz, where you’ll stand a chance to win prizes, as well as a grand draw in each of two sessions, where the lucky winner will walk home with a return air ticket from Singapore to Hokkaido. You will need to pre-register for the event on the Facebook event page. This seminar is brought to you by Hokkaido Railway Company and Vivid Creations Pte Ltd, the organizers of Singapore’s Real Escape Game. Don’t forget to visit Hokkaido’s Facebook page to find out more about what this state has to offer. 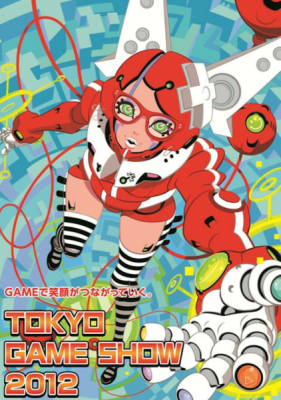 As we move onto Day Two of our Tokyo Game Show (TGS) 2012 roundup, we discover some pleasant surprises from video game god Hideo Kojima, as well as Capcom goodies. Kojima Productions shed light on the gameplay and concepts behind Metal Gear Solid: Ground Zeroes, and one of it’s highlights is an “open world concept” similar to GTA. 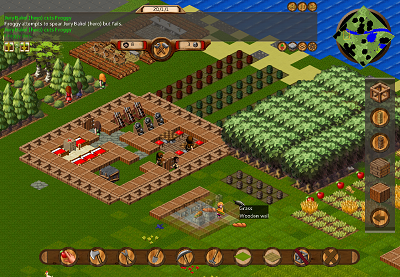 The environment will load constantly in the background while the player navigates and explores the world. The only time the load screen appears is when the player moves into another part of the world via helicopter. This minimize the amount of time the player spends staring at the loading screen instead of playing the game. The game will also reflect the time of day, so expect day and night environmental settings. Ground Zeroes will run on Kojima Production’s new FOX Engine, and the team hopes it’ll be a benchmark for future “open world” games. 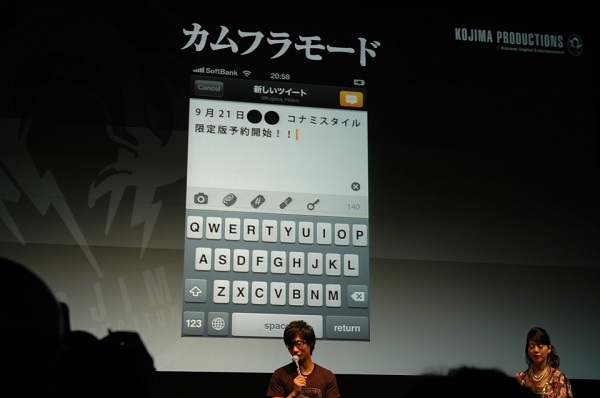 Kojima also announced his own Twitter-style app. 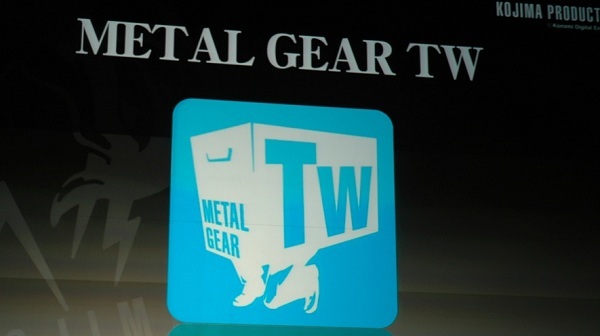 Dubbed Metal Gear TW, the app features Twitter functionality, but also gives the user a special “camouflage mode” which censors text. Only folks you’ve designated have access to read the uncensored text. Cool huh? Kojima’s new weapon also features a “stealth mode” which operates like a block function. 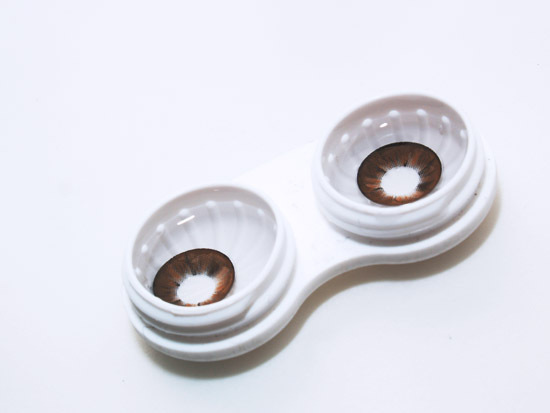 This allows you to keep pesky stalkers away from your feeds without them knowing. It’s kinda like donning a cardboard box, if you know what I mean. What’s more awesome than this bit of development news? The fact that this app will be available for the iOS by the end of the year! Capcom has confirmed that Dragon’s Dogma will be getting a “major expansion” in the form of Dark Arisen. Capcom said that they will be revealing more details about the DLC in “the near future”. To keep fans busy until “Dark Arisen” gets released, Capcom will be putting out an upgrade (FOC of course) for Dragon’s Dogma this year. The upgrade will include a “speedrun” and “hard” modes. In a nutshell, “speedrun” will test the players’ ability to complete the game in the shortest time possible while “hard” will make the game much harder, but also the drops more rewarding. Warner Bros. and NetherRealm Studios announced that Injustice: Gods Amongst Us will be ready for worldwide launch in April 2013. The DC fighting game will be making its way to PlayStation 3, Xbox 360 and Wii U. While the English speaking world will get a localized version of Monster Hunter 3 Ultimate come March 2013, Capcom announced that Japan would get the latest installment of Monster Hunter – Monster Hunter 4 in the same month on the 3DS. Monster Hunter 4 will feature online multiplayer support for up to 4 players to play and hunt together, but if you’re hoping for a console port, you might have to keep those fingers crossed. While consoles and handheld consoles have taken center stage at Tokyo Game Show this year, we can’t really ignore the potential for smartphones to moonlight as mobile consoles. 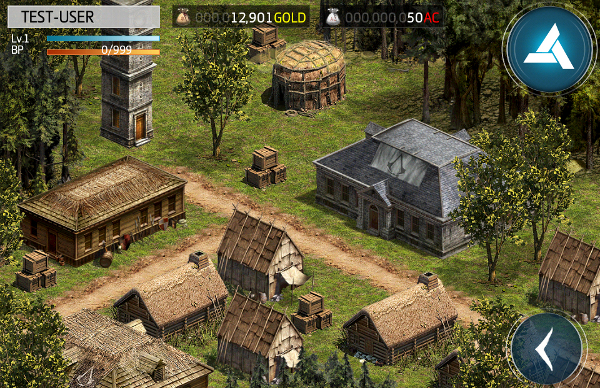 New titles coming up on mobile devices include Assassin’s Creed Utopia, which allows you to build and manage a city, and features a limited time combat system. 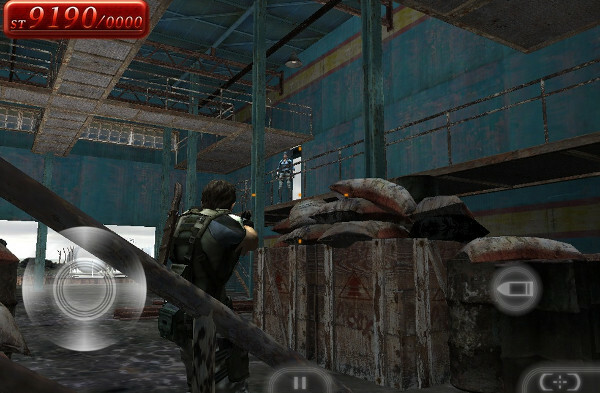 Resident Evil VS first appeared at E3 this year, and the third-person shooter’s looking good. It holds onto the essence of RE Mercenaries VS, but fans might be disappointed because a few cast members of the Resident Evil franchise have been reported missing from the roster. The game will be ready for release in Japan next year. The immersive, alternate reality game that is Real Escape Game’s back, and this time, Vol. 3 takes you into the mind of a crazed physicist who claims to have unraveled the secret to human prosperity. Dubbed “The Crazy Last Will of Dr. Mad”, this installment will take place at Power House @St. James Power Station, and features a new storyline and venue. The deceased physicist’s secrets are hidden in his last will and testament, which has been unsealed after a 40-year silence. Players are challenged to test their wits in a series of elaborate puzzles, to “unravel the mystery of (his) life’s greatest work”. It’s sure to be a treat for thosewho want a change of pace after REG Vol. 2’s dark survival horror vibe to be sure. We’re looking forward to vol 3, and if you fancy yourself a super puzzle solver, you should too! Here’s a look at the Vol. 3 trailer! 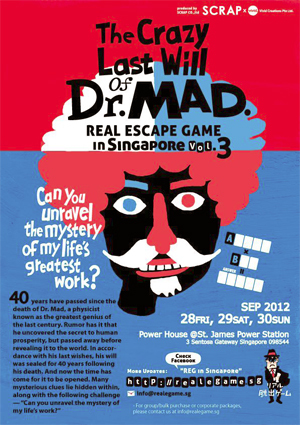 Real Escape Game in Singapore, vol 3: The Crazy Last Will of Dr. Mad takes place from 28 to 30 Sept 2012 at Power House @St. James Power Station. Tickets are priced at $27 (advanced sales) and $35 (at the door). Tickets are available from www.sistic.com.sg, through the SISTIC hotline, and at SISTIC outlets islandwide. Don’t forget to also visit Real Escape Game in Singapore’s official site, and Facebook page for more details. If you’ve been waiting for a chance to jump into the continent of Thedas again, wait no longer. BioWare and EA announced the third Dragon Age title yesterday after months of leaks and speculation, making the existence of Dragon Age III: Inquisition, pretty much official. The game will be “coming in late 2013” and will run on the DICE Frost Bite 2 engine, the same engine that powers Battlefield 3 and Need for Speed: The Run. BioWare’s executive producer, Mark Darrah, also confirmed that the same dudes who worked on Origins would be working on Inquisition, and that there would be more customization options. For more info on the Dragon Age universe, be sure to visit the official website. Fans of the franchise can also receive the latest updates on the series by following Dragon Age on Twitter and Facebook. Every year, we put out a video featuring cosplayers at STGCC, and this year’s no different. So here it is, and it’s the product of hours of blood, sweat and tears by our much abused resident Pack Elk, who sacrificed hours of potential cosplay fun to put this video together. (It’s…it’s not like I’m praising him or admitting that he’s super duper awesome and dedicated or anything). So enjoy, and be sure to let us know if you’re one of the cosplayers featured in it! The Games Xpo (TGX) 2012 saw gamers and e-sports enthusiasts making the trek to Singapore Expo, where cyber athletes did battle in the Singapore leg of the World Cyber Games (WCG). The event also played host to the annual Cos X competition organized by Movie Mania, which saw more than 20 participants in costumes inspired by anime and video games competing for cash prizes as high as $2,800 for the Western title, and $1,500 for the Eastern title. The con was rather sedate compared to the year before, and didn’t feature quite as many games and exhibitors as it did the year before, and we were surprised to discover that big names like Garena and Electronic Arts (EA) weren’t on the scene (Cherry Credits did have a sizeable booth, though). There was also a smaller offering of computer and consumer products this year, markedly down from last year, and the game competitions (which included games DotA 2, Starcraft II and others) also seemed a little skimpy by comparison. Of course, while the con didn’t feature quite as much content game-wise, Cos X proved to be the draw of the day with cosplayers and event goers alike flocking to the stage to catch a glimpse of the action. Crowd favorites in Cos X included Gundam Unicorn and Guan Yu from Romance of the Three Kingdoms (which won the grand prize for the Eastern category), and Mistress of Pain from Diablo III, which took home the Western title. Other characters that made an appearance included Diablo, Crimson’s very own Tyrael (which we blogged about here), Ironman, and even Power Rangers. The cosplay component certainly made the con much more entertaining, and we’ll definitely be looking forward to it again next year. Check out our some of these from the event! Additional photos are also available in our album on Facebook.